Home > Yamaha R1 > 2015 Yamaha YZF R1 - Legend Reborn ? 2015 Yamaha YZF R1 - Legend Reborn ? When the Yamaha YZF R1 was given to us way back in 1998, it was flawed but it re-painted the Sports Motorcycle canvas. It looked radical and was brutal in it's moves. It was an instant hit amongst the enthusiasts. Through the years, the R1 gained a cult status and also saw many changes in it's engineering and even looks (read more about this legend here). The year 2009 saw the R1 getting re-born straight from the womb of the factory Yamaha M1, with it's heart pounding to the beats of the variable firing order emanating from it's Cross-Plane Crank Shaft I4 internals. Yamaha was confident that they have a winner in their hand, well, they were almost correct, if you single out the Cross-Plane R1 and enjoy it. Unfortunately for Yamaha and to this day for all other manufacturer in the Sports motorcycle segment, the Bavarian think tank had different plans, plans that pulverized the hopes of Yamaha - the BMW S1000RR. What ever bits of hope remained for Yamaha were broomed off by the Aprilia RSV4 Factory APRC. That was 2009 and this is the second half of 2014. The Yamaha YZF R1, still remains a fun motorcycle to ride, but it fails to pose any serious threat to it's competition, even when you talk about the motorcycles coming from Japan. The Kawasaki Ninja ZX-10R, is today the fastest, most powerful and electronically most sophisticated I4, 1000cc motorcycle coming from Japan. 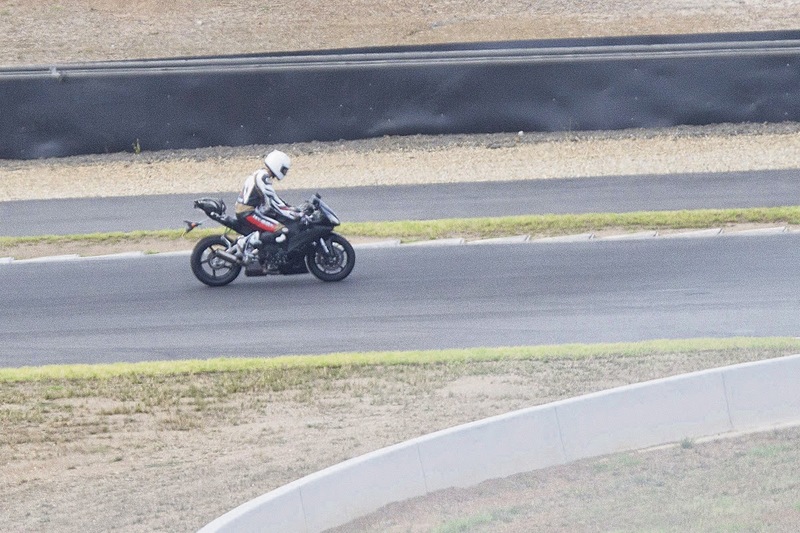 The Honda Fireblade still makes fast lap times and is butter smooth to ride. The Suzuki GSX-R1000, still as brutal as it has been before. The Yamaha R1 looses to all the three in terms of fastest lap times and lack of top end power delivery. The Cross-Plane Crank Shaft provides excellent grunt low and middle but that's it. Up top, the engine feels running out of breath way too soon and way too quickly. Comparatively, the R1 feels massive and bulky when the competition has been getting compact and lighter. Long story short, Yamaha had to go back to the drawing boards, if they wanted to keep this Legend alive... and they did just that!! Heavily camouflaged and wrapped in the body work of a R6, the new R1 is supposed to be a completely different motorcycle, being tested back to back against the BMW S1000RR (that's the kind of impact the S1000RR has had on the competition!!). Insiders claim that we would be able to see the motorcycle in flesh at the Intermot festival at Cologne by the end of this year and would be available on road by 2015. The motorcycle being tested looks built for a purpose - the signature under tail exhaust has given way for side slung exhaust system (with that huge exhaust chamber down below for mass-centralization), the fact that the chassis with the engine mounted fits so snugly inside the R6 body work suggests that this time the R1 would not only be compact, but would also be lighter than it's previous iterations. Yamaha also plans to brand the engine of the R1 as "CP4" (much on the lines of the CP2 of the MT-07 and CP3 of the MT-09), meaning, that new R1 would remain an I4 (instead of I3 as many are speculating). Along with the engine branding, Yamaha has also gone ahead with acquiring exclusive rights of names like YZF-R1M (may be a high spec M1 replicating version) and YZF-R1S (may be a more affordable Street version). So, finally Yamaha is doing what the competition has been doing quite successfully for quite some time - having different variants of the same motorcycle, appealing to different requirements. On the technical front apart from the engine changes (sometime back we also heard that the high spec version of the R1 might blast out 230 horses!! ), Yamaha might also imbibe electronic aids like ABS (oh please it's a defacto now!! ), Traction Control (it already has), Electronically Adjustable Suspension bits, Ride Modes - AT LEAST!! There hasn't been any official word about the next gen R1 yet, and we can only guess as to what it can be and what might be on the offering. So, let's wait and hope that the Legend is ReBorn! !